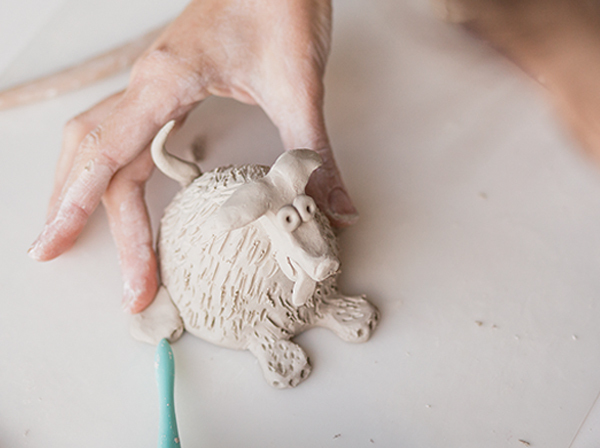 Oz Clay is the most ‘clay like’ material available when a kiln is not accessible. 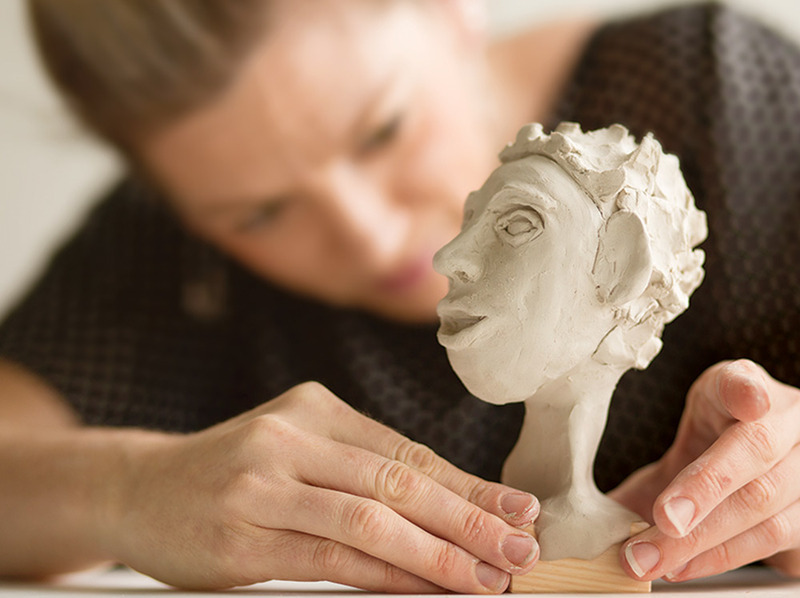 It is an Australian made air drying clay that has all the properties of normal clay and requires the same skills for modelling with clay yet it air dries. 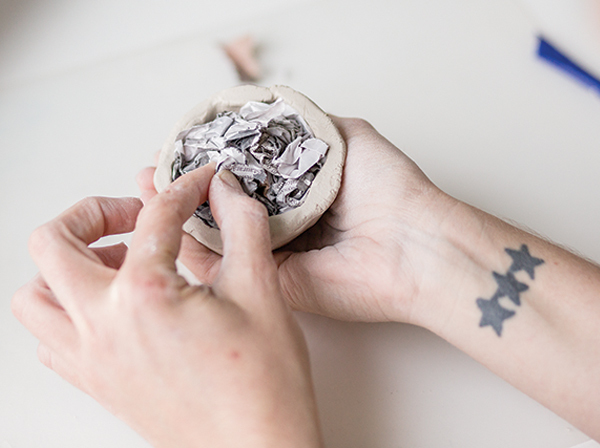 Air dries with very little shrinkage so it can go over armatures such as newspaper balls, wire and foil to construct larger forms without using a large quantity of clay. 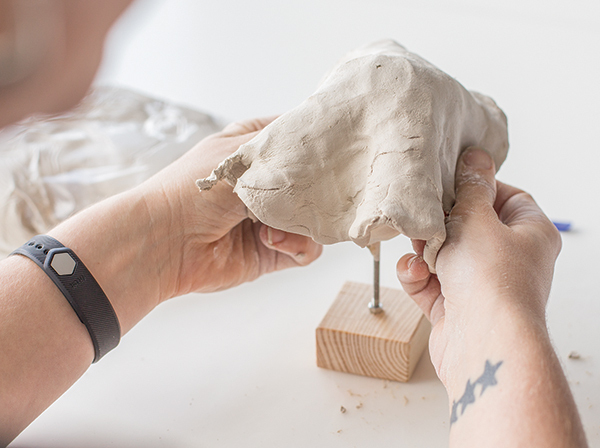 Small amounts of water will improve the clay’s plasticity if it is too hard or cracks while modelling. 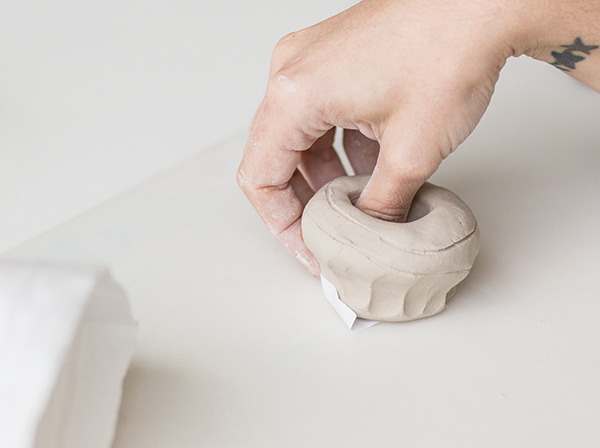 Untouched clay should be stored in a cool place in an airtight container. 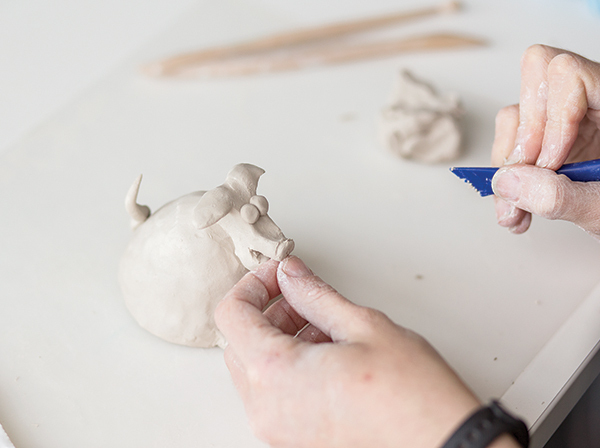 Left over clay should be stored in an airtight container separate from untouched clay to prevent contamination. Allow models to dry slowly by partially covering with a plastic bag and slowly removing the bag more and more over a few days. This will help prevent cracking. Paint with acrylic paint or Langridge Decorative Finishes. 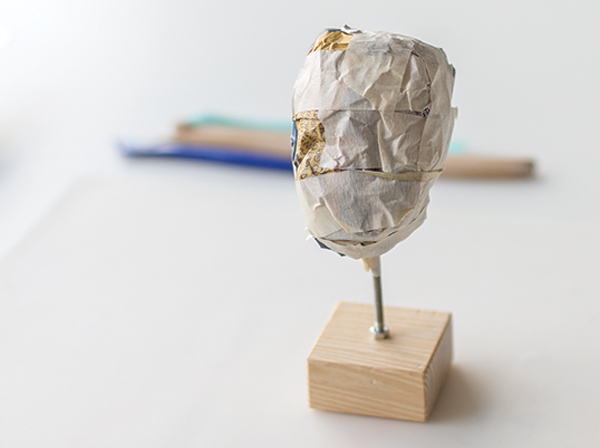 Step One Scrunch up newspaper and bind with Masking Tape onto a Wooden Block Base. Step Two Flatten Oz Clay with hands. Step Three Drape flattened clay over the armature. Smooth out and add more clay as needed to cover broken areas. 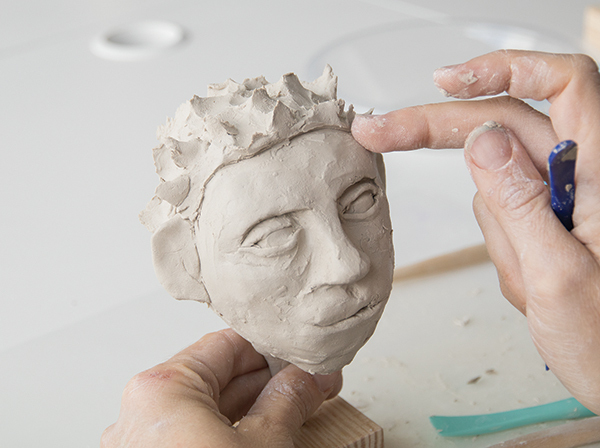 Step Four Build up facial features by adding coils and balls of clay to the face. 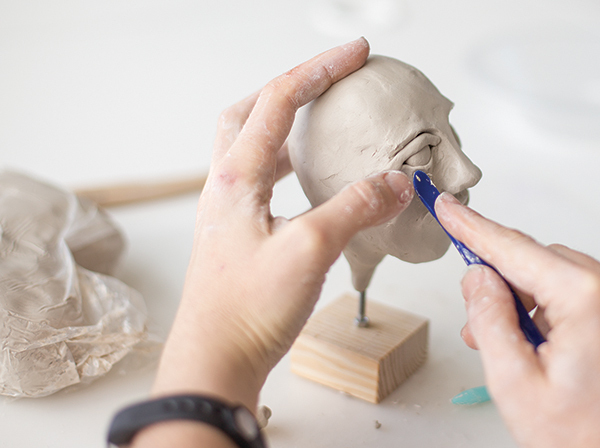 Step Five Use clay tools, Satay Sticks or Popsticks to add details to the face. 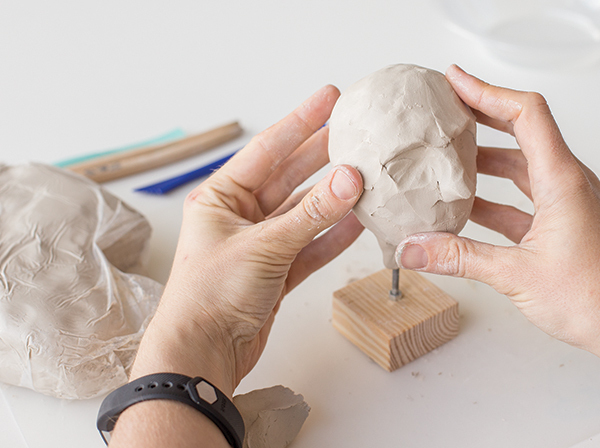 Step Six Clay can be smoothed when all details are finalised. 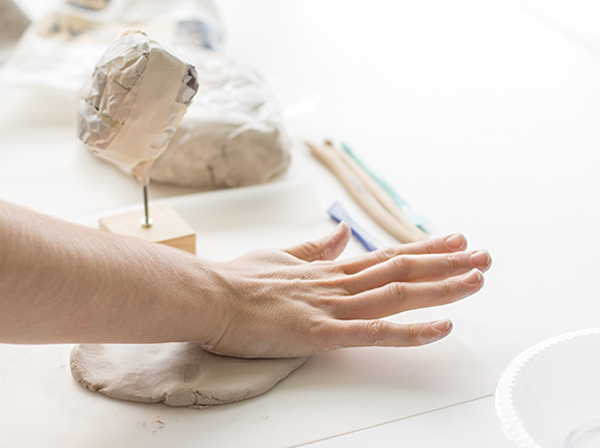 Tip: If your hands get dry while working, dip two fingers in water and rub around your hands to ensure you don’t over wet the clay. A damp sponge is also a great way to achieve a smooth even surface. Step One Create a pinch pot from a mandarin size ball of Oz Clay. Step Three Use the upside down pot as a starting point for a sculpture. Step Four Add and join pieces of clay. Use tools to create textures. Leave to dry then finish with paint, spray paint or varnish to achieve your desired effect.